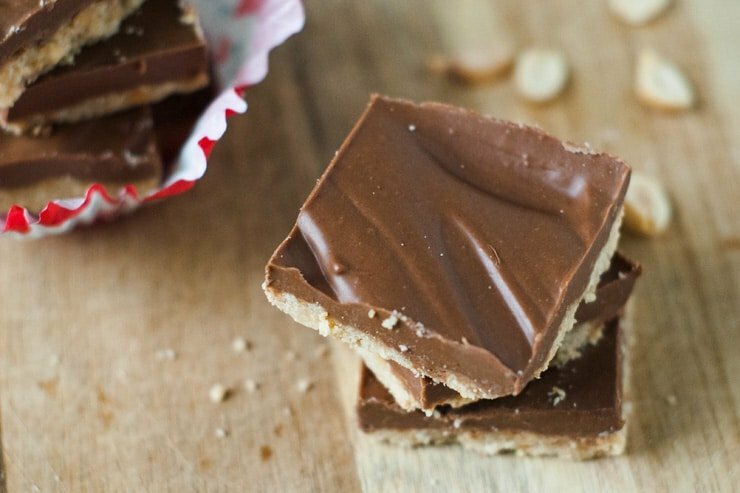 These chocolate peanut butter fudge bars are the perfect combination of smooth chocolate and peanut butter on a crunchy shortbread cookie base. Perfect for dunking in milk! 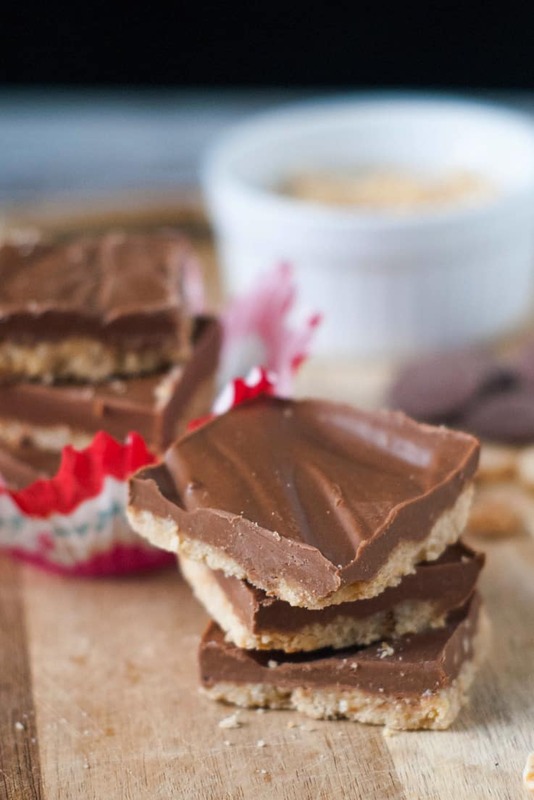 We had these peanut butter fudge bars a few weeks ago for our treat during “family night”. Every week we chose a night where we spend time together, learn and make that night just for us. It’s super fun and it usually involves a treat, so it’s clearly always a good time. We started a rotating schedule a few weeks back where each of us is in charge of a different element of our night. The girls have loved taking responsibility for things like planning a lesson or activity but the favorite job is definitely being in charge of treats. It turns out that four-year-olds with a slightly-higher-than-normal love for sugar go kind of crazy when you tell them they get to pick out ANYTHING to make for family night. She agonized over her choice for a good few days and finally decided she needed to look through my cookbooks. In the end, these peanut butter fudge bars made the final cut and they were the perfect recipe for her, both in taste and ease of assembly. They were so simple in fact, that she was disappointed they didn’t take longer to make. Sometimes I wish kids liked washing dishes as much as they like dirtying them. Wait, that’s ALLTHETIME. How many cups does one child need to dirty in a 24 hour period?! 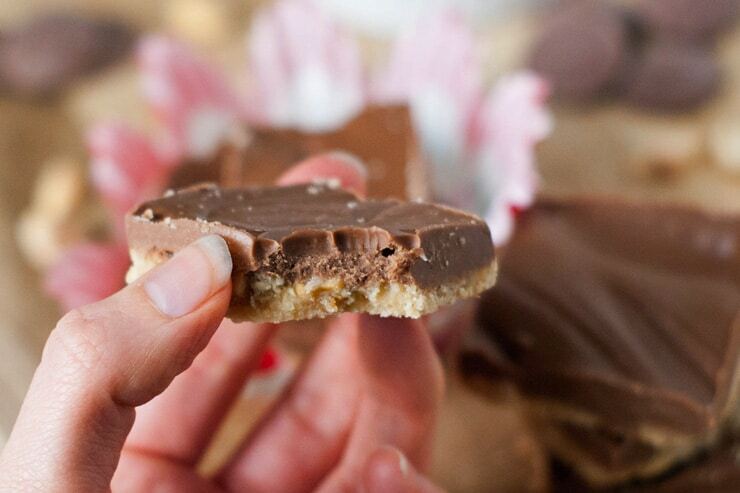 A peanutty shortbread crust topped with a layer of soft peanut butter chocolate fudge. Combine flour, peanuts and sugar in the jar of a blender and blend until mealy-- peanuts should be ground fine but not turned to peanut butter. Pour in melted butter and blend just a few pulses until it comes together and turn into an ungreased 8x8 baking dish. Press into the bottom of the pan until even and bake at 350 degrees for about 10 minutes or until crust is light brown around the edges. 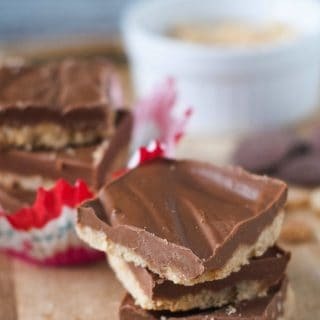 Microwave the chocolate chips with peanut butter in a microwaveable bowl for 30 seconds, stir and continue to cook in 30 second intervals until the chocolate is melted and mixture is smooth. Stir powdered sugar into chocolate and mix until smooth once more. Spread chocolate evenly over hot cookie base and set aside until cooled. It will be ready to cut when the chocolate is no longer shiny. Cut into bars and serve at room temperature.